Yarn and Fiber Happenings: Ice, More Ice, and Warm Knitting! Ice, More Ice, and Warm Knitting! 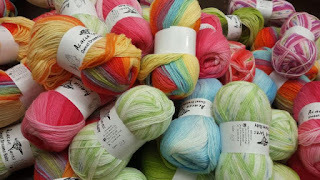 The Yarn and Fiber Company is back online! Yeah! Sorry for the disruption in service, but it couldn't be helped. Slowly Southern NH is thawing from a recent ice storm that proved to be quite crippling to everyday life - and also reminds us of the need for warm sweaters. I captured some beautiful photos of the ice for anyone not in the area. I have to say though, I love New England and all it brings... and I was awed with the ice sculptures nature provided on Friday morning!